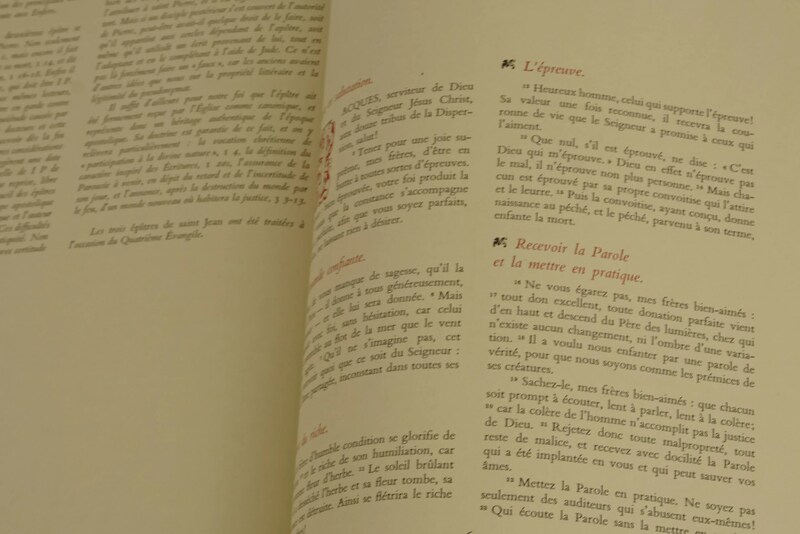 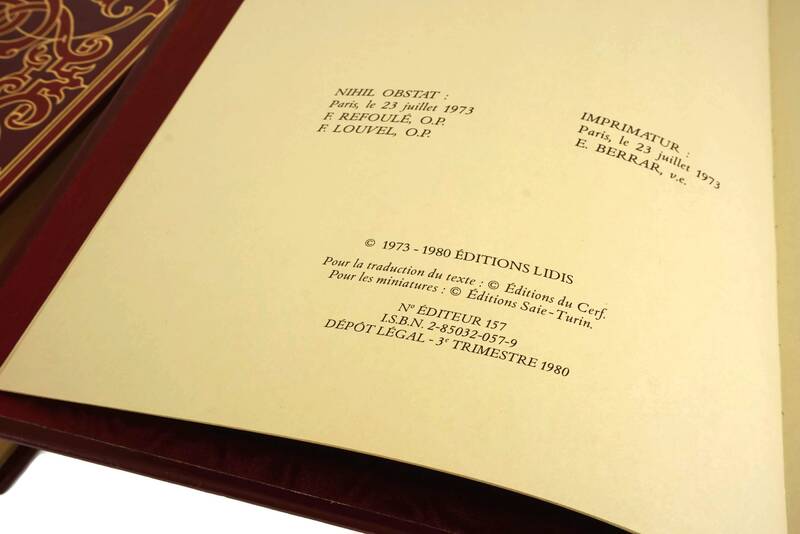 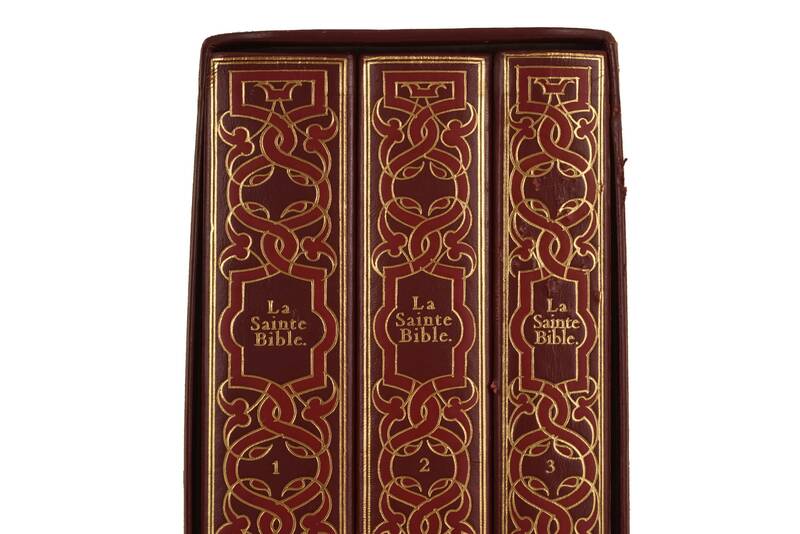 A beautiful French Holy Bible book set in 3 volumes. 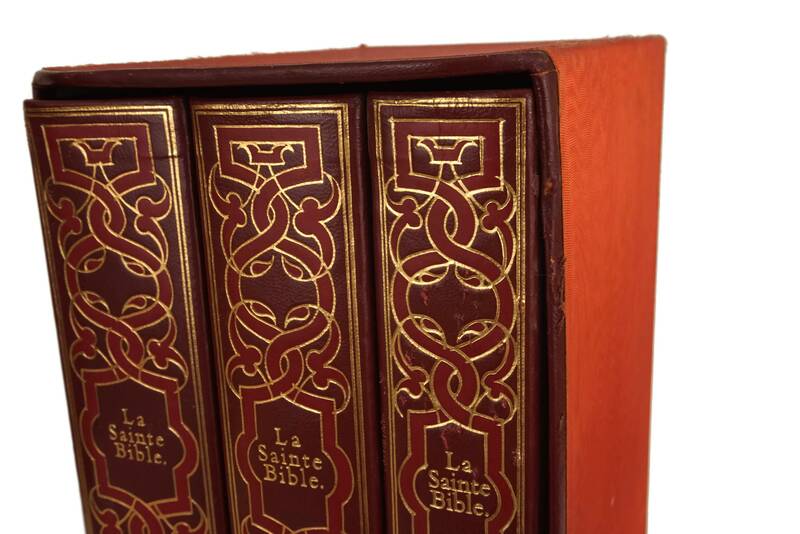 The vintage Christian books date from the early 1980's and were published by the renowned Editions Lidis French publishing company. 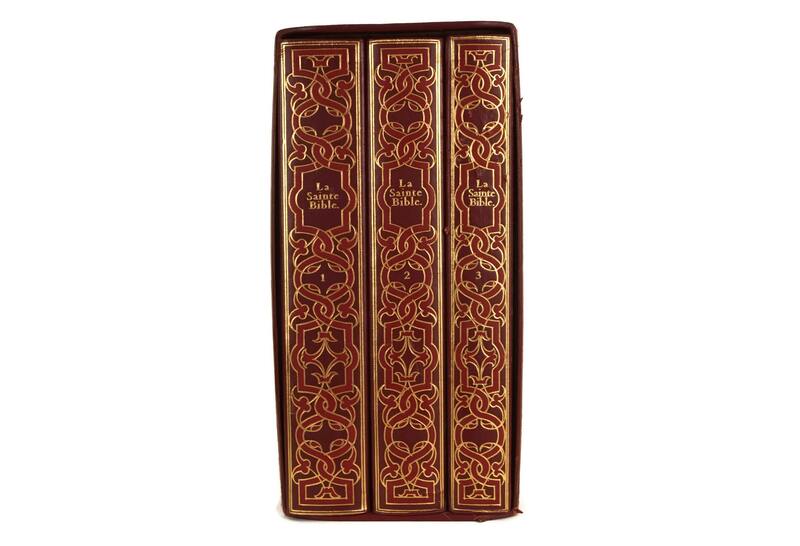 The prayer books feature hard covers decorate with ornate red and gold tone binding with gold leaf edges to the pages. 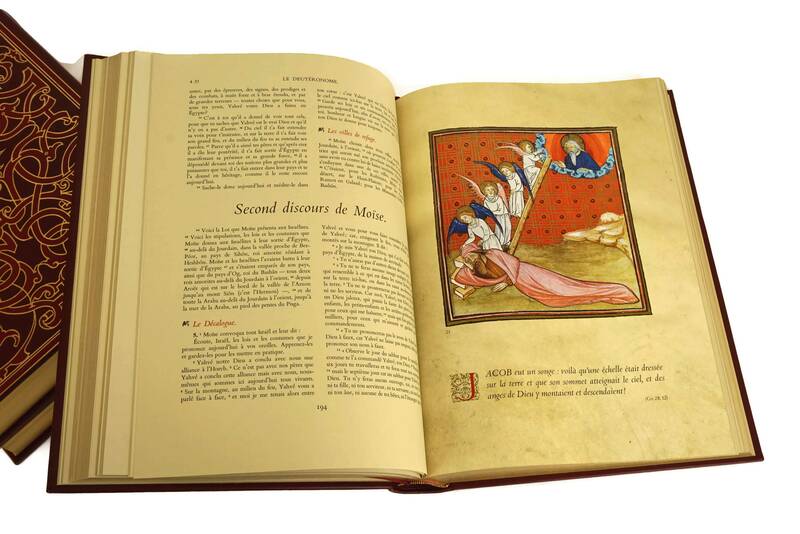 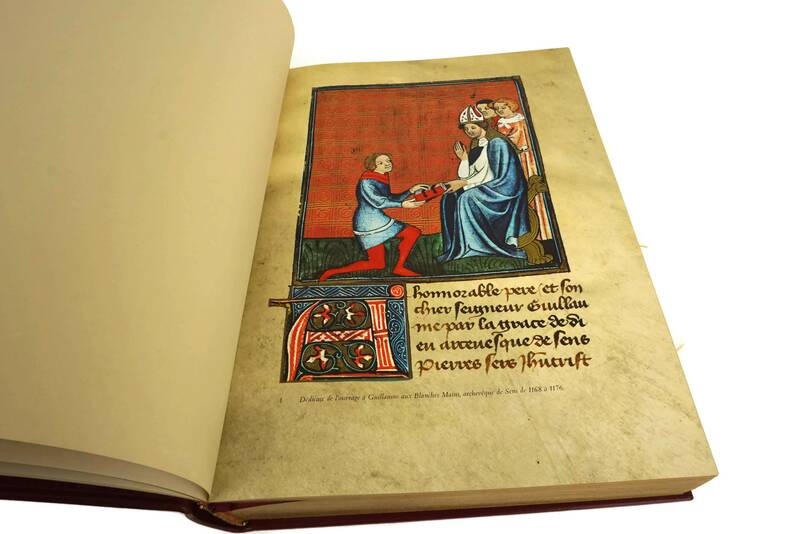 The bible has been printed in French and features over 350 beautiful full color illustrations reproduced from and antique Bible. 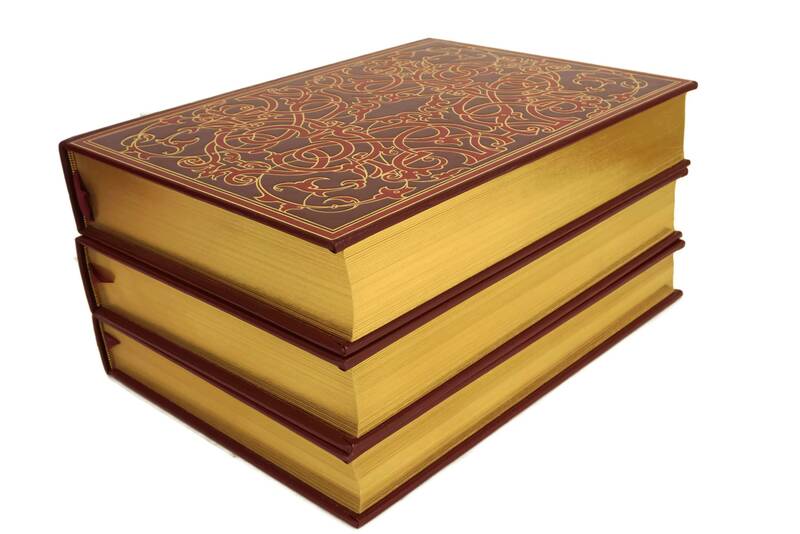 (32 cm x 23 cm x 6 cm). 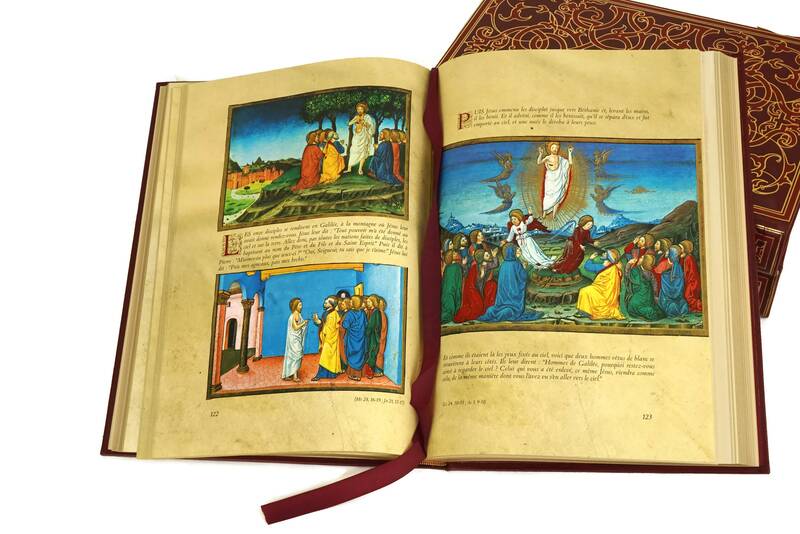 The prayer books are in very good vintage condition. 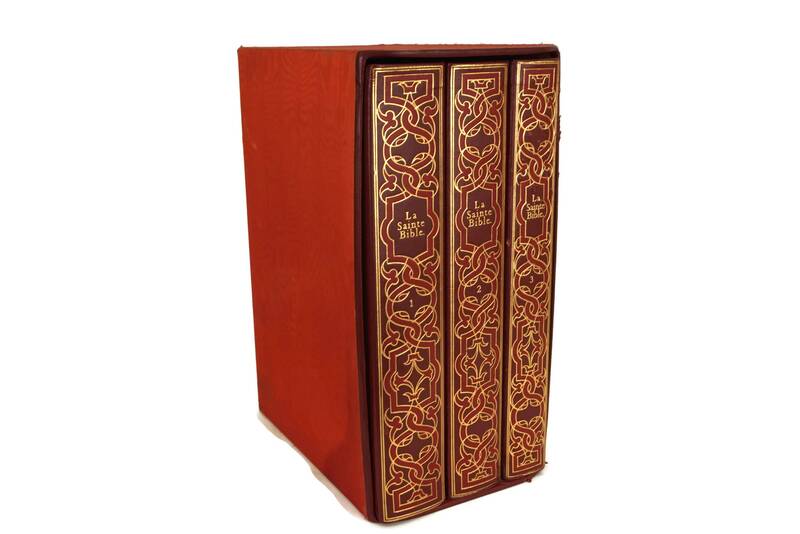 There are surface marks and scratches t0 the storage case and the spine of the 3rd volume.